The Trifecta: Location, Amenities & Return! This modern 2 bedroom apartment is central to Toowong Village and the University of Queensland whilst also boasting easy access to the City via a number of public transport options including train, bus and ferry. Located within the award winning 'Linear, St Lucia' complex this property has access to a number of desirable amenities including a spacious games room with pool table and kitchenette, a central courtyard area, on-site property managers, secure car parking and security entrance with intercom system. 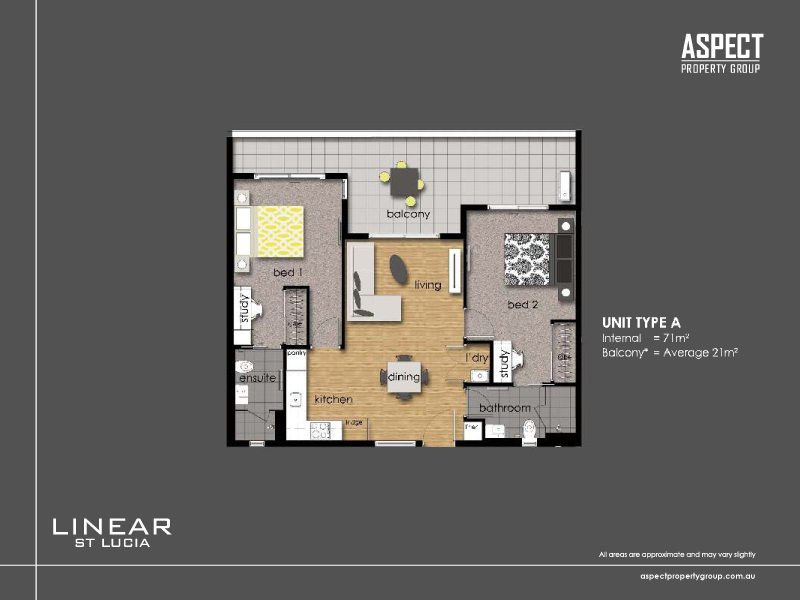 The thoughtful floorplan separates the two large bedrooms on either side of the apartment and sees them boast ensuited bathrooms, built-in robes, balcony access and built-in study desks; the perfect set up for students. Apartments in the complex return up to $670 per week and with the option to purchase fully furnished this property presents an exceptional opportunity for a savvy investor, an owner occupier who wants to profit from renting a single room or an owner who wants the place to themselves to reap the benefits of the location and the A-grade amenities on offer.